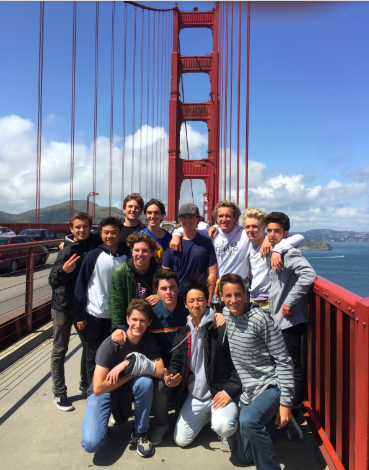 Recently, dancers at Laguna Beach High School have been collaborating more with the sports teams. They have been participating in events such as home football games, performing between quarters or at halftime. Additionally, they work alongside the band and cheer to get the crowd cheering. “Dance is excited to be performing at the home football games this year. 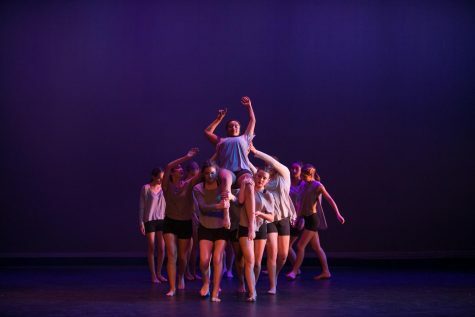 More dance classes are performing, so you will get to see not only students in the Dance Company, but also, students in our Dance 4, 3, and 2 classes,” said dance teacher Estee Fratzke. The extra involvement of the dance classes in sports events is already boosting school spirit. The attendance rates at the games have increased from students coming to watch their friends in dance perform. “I think having dancers at the sports games greatly supports school spirit! Dancers add an aura of excitement and enthusiasm that supports the cheer team, as well as the band and ASB student section,” said Fratzke. The dancers appear very excited to participate more in events. “I definitely believe being more involved helps prepare us for the professional dance world. It helps make us well-rounded by having more experiences to refer to as dancers. 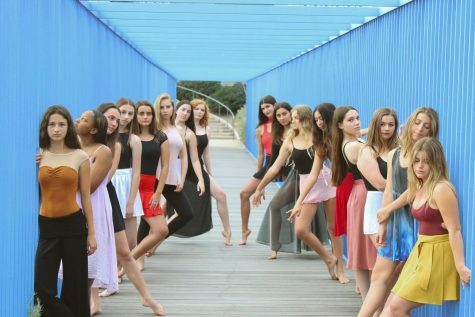 The biggest preparation was when we were literally dancing in the professional dance world in the NFL halftime show,” said senior Dance Company member Kiyara Tehrani. Besides the football games, the dancers have been involved with other events in our community. There have been some amazing opportunities for our dancers to get on stage and perform in front of large audiences. “I think that Mrs. Fratzke has already done a wonderful job in getting dance involved in so many things—from pep rallies to the Patriots Day Parade to the NFL Halftime Show we were fortunate to be a part of last year. 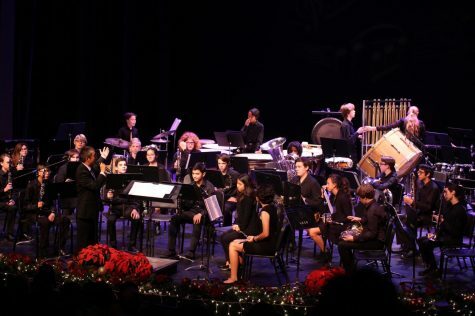 However, if there was a need for more involvement, dance can always partake in more community projects—for instance, working with similar artists in Laguna Beach,” said Tehrani. 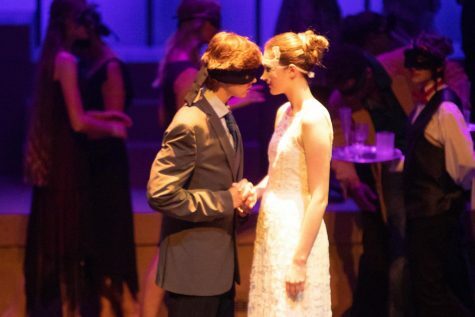 Not only is this professional partnership fun for the dancers, but it also teaches and trains them how to perform in a variety of settings with different types of audiences. “I am open to performance opportunities that teach the dancers about using their individuality and expression to captivate an audience. Aside from the stage, dancers should know how to perform in sports arenas, community events, parades and more! Being versatile is guaranteed to result in a greater understanding of dance so that those who wish to go on and study dance are more experienced. 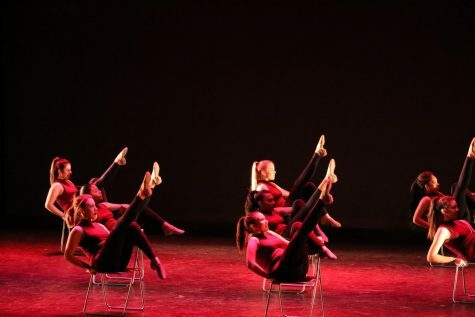 For those who are not planning to focus on dance after high school, the personal skills of self-confidence and collaboration are essential to growth and development as young people. Facing and overcoming our nerves in a performance setting generates stronger people who can tackle anything life throws at them!” says Fratzke.